He was only 4 feet 11 inches tall. He was attacked by black fever at the age of 12 and lost his weight heavily. He was imprisoned for slapping a British officer and lost his job. However, today he’s known across the universe. 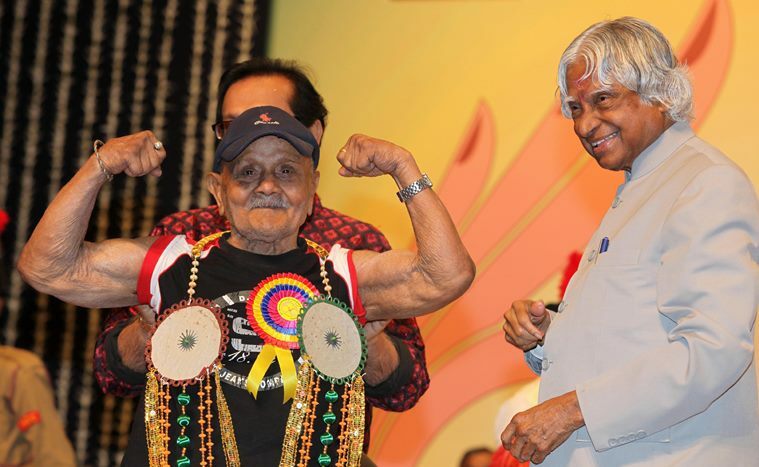 Yes, he’s Mr Manohar Aich, second Indian (After Monotosh Roy in 1951) bodybuilder to win Mr Universe title in 1952 at NABBA Universe Championship. Since childhood, Aich was very much interested in physical strength related to wrestling, weightlifting, squats etc. He started his weight training seriously while he was in jail. In 1952 he obtained the first place in Mr Universe Championship. At this time he had biceps of 46 cm, chest 1.2 m, forearm 36 cm and wrist 16.5 cm. Before that in 1950 he won the Mr Hercules contest. Since then he was known as “Pocket Hercules” in India. He passed away in 2016 at the age of 104. He lived a very healthy life and he credited a simple diet of fruits, vegetable, rice and milk for his good health. It’s very inspiring to know that despite being effected with Physical limitations, he instead turned that into his biggest strength. Those who are health conscious in life, you might be following the diet, but please make sure you are extremely strong in both your mental and physical ability, you keep inspiring yourself, you need to be motivated and rest whatever the limitations are, never let them stop you to achieve your goal. He chose this profession as a bodybuilder and his mental strength was so high that he became the world famous in bodybuilding profession. Increase your mental stamina, do exercise regularly, & Be a DOER!!! Previous articleSubhash Chandra Bose says, So much to do, yet so little done. Hurry up!